On 28th March 2002, the Minister of Education and Training signed Decision No. 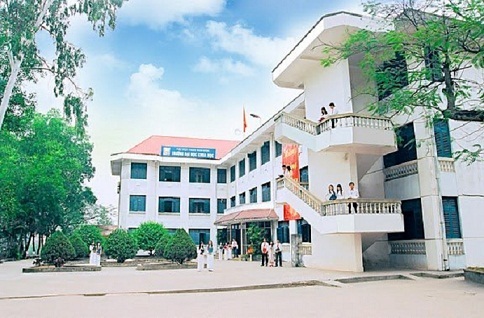 1286/QĐ-BGD&ĐT-TCCB on the establishment of the Faculty of Natural Sciences belonging to Thai Nguyen University. On 28th November 2006, the Faculty of Natural Sciences was renamed into Faculty of Natural and Social Sciences according to Decision No.803/QD-DHTN-TCCB signed by the President of Thai Nguyen University. On 23th December 2008, the Prime Minister signed Decision No. 1901/QD-TTg on the establishment of TNU University of Sciences of Thai Nguyen University on the basis of upgrading Faculty of Natural and Social Sciences. The University is currently training and offering 19 bachelor’s, 03 master’s and 01 doctor’s degree programs. The training scale of the university has a total of 6500 students at different training levels, in which 4498 are full time students. The university has completed 03 projects: 01 project of international cooperation training of bachelor’s degree, 01 project of teaching Mathematics in English for college students, 01 project of training master students majoring in analytical chemistry. The university staff members have been chairing 04 scientific projects at State level through NAFOSTED Fund, 07 projects and 40 scientific research topics at Ministry level, hundreds of researches at University and provincial level projects in the fields of natural, social sciences and humanities. In addition, the staff members have published over 70 articles in prestigious international scientific journals such as SCI, SCIE and numerous articles in other international journals; more than 160 articles in professional journals at national level and hundreds of articles at local level journals. 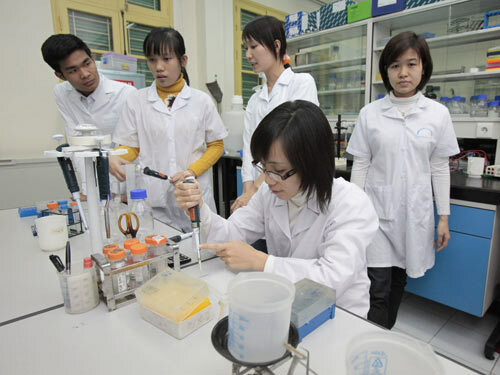 Nearly 500 students’ scientific research have been successfully defended and more than 50 researches have been completed ​​with high achievements: 03 third prizes and 07 consolation prizes in " National Award of Students’ Scientific Research"; 01 first prize, 01 second prize and 02 consolation prizes in "Vietnam Young Science Talent Award"; 01 third prize in " Vifotec Vietnam Young Creative Talents" and 02 first prizes " Thai Nguyen Young Creative Talents "; receiving high prizes in contests of Scientific Research and Olympic competitions in Mathematics and Physics nationwide: 01 prize for contest in conducting experiments, 02 third prize for whole group category, and 01 prize in multiple choice and many consolation prizes. The University has cooperative programs with major partners, such as University of Hawaii Pacific – US, Russia Academy of Physics and Organic Chemistry, Yunnan University of Agriculture - China. The university also has developed several joint training programs for receiving and training international students, participated in international student exchange and invited many leading professors from France, Switzerland, and Japan etc. as visiting lecturers to teach in the undergraduate and graduate programs and to implement joint scientific researches with staff members.